Welcome to visit Grep Tech’s company website. 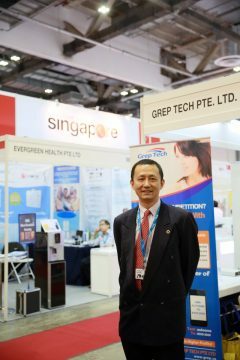 My name is Robin, and I am the Founder and General Manager of Grep Tech Pte Ltd. After spending 11 years working at Hewlett Packard (HP) Singapore and 4 years at Infocomm Development Authority of Singapore (IDA). I dreamed of building a technology company like Hewlett Packard (HP). Grep Tech Pte. Ltd. was registered in Singapore on 13 July 2012. In September 2016, Grep Tech enters into Cambodia market. Grep Tech (Cambodia) Co., Ltd. is a wholly owned company of Grep Tech Pte. Ltd.
During my years of working in big corporations and organisations, I have noticed that big companies are using advanced technology to help them stay competitive and make them work more efficient. Some of these technologies like ERP system, CRM system, supply chain system, system & network monitoring system, automated production system. But these technologies are costly, and requires specialised skill to manage them. For SMEs (Small and Medium Enterprises), even they could afford to purchase the system or software, they may not be able to afford hiring the engineer to manage those expensive systems. Grep Tech is dedicated to create value for SME business. We are focused on using innovative technology to help SME businesses to enhance their operation efficiency and market competitiveness. Our vision is to see Grep Tech (GT) products been used in every business and every office. 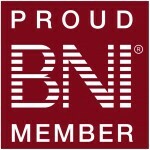 Our mission is to create Innovate and Quality product with the best Customer Experience.